Raijin is the name of a Shinto Weather God in Japanese mythology, specifically the God of storms, thunder & lightning. Sometimes, the name Raijin refers to one deity, other instances, Raijin will refer to several weather gods. Raijin is often depicted as a muscular, red-skinned Oni with sharp claws, horns, wild hair and carrying around a large drum or several drums with the symbol of tomoe written on them. These drums of course are used for the sound of thunder. To beat the drums, Raijin uses hammers. Sometimes Raijin is shown to have three fingers that each represent the past, present and future. Statues depicting Raijin can be found throughout many places in Japan. Many of these sculptures will show Raijin possessing a pot-belly and a fearsome face. Mortal Kombat – Finish Him! Raijin, better known as Raiden, appears in the popular fighting game series Mortal Kombat. As Raiden, he is often shown as a robed man wearing a straw hat. The gods Izanami and Izanagi, the main deities in Shinto are who birthed or created Raijin and all the other gods in Japan. In addition to Raijin and his brother Fujin, all of the Kami of Japan can be said to be Raijn’s brothers and sisters as they were all created after the creation of Nippon (Japan). There’re a few variations to Raijin’s origin. In line with Japan’s creation myth, the gods Izanami and Izanagi created Raijin after they created Nippon, making him among some of the oldest gods in the Shinto religion. Specifically, Raijin was born right after the death of his mother, Izanami when she bore the fire god, Kagu-tsuchi. Izanagi took his sword, Ame no Ohabri got Kagu-tsuchi up into eight pieces, which became eight volcanoes. The blood dripping off the sword would create a number of other Japanese gods or kami. After Izanami descended to the underworld, her husband Izanagi would follow after. There is a misunderstanding between the two and Izanagi took off. Izanami would send Raijin, along with other spirits to bring Izanagi back. Other legends will say that there are eight lightning gods, hence the suffix part of Raijin’s name “jin” for people, plural. Getting back on point, these eight lightning gods were tasked with protecting Dharma by the Buddha. This syncretism, known as Shinbutsu-shūgō, joining different religions together is common in Japan. Even an order 1868 meant to separate the two religions of Buddhism and Shinto didn’t stop this from happening. In Japanese lore, Raijin and his companion, Fujin were a pair of oni who actively opposed the other deities. Under the orders of Buddha, it took an army of thirty-three gods to subdue Raijin and Fujin and convert them to work alongside the other deities. Kojiki – This ancient Japanese text is the primary source for everything known about Raijin. In 1274, the Mongols for the first time would attempt to set sail and invade Japan. However, a massive typhoon would destroy a good number of the Mongol fleet, disrupting plans for a conquest of Japanese archipelago. Going by the legend, only three men are said to have escaped. A second attempt in 1281 saw a similar typhoon blow through and wreck most of the Mongol fleet again. Both massive storms or Kamikaze as they would come to be known were attributed as being sent by Raijin to protect Japan. Some of the descriptions of Raijin say he’s an oni and that certainly seems true given his description and when looking at more Buddhist influenced stories where the gods had to battle Raijin and Fujin to tame them and convert them to Buddhism. Kami – When we go back to the Shinto religion that predates Buddhism in Japan, Raijin is one of many, numerous gods or kami found throughout the region. They range in power from low level spirits all the up to gods. Shintoism holds the belief and idea that everything seen in nature has a spirit, or kami. As spirits, they just are. The greater the spirit or kami, the more of a force of nature and raw power it will be. So many of these spirits would be revered and respected just to avoid needlessly getting them angry and ticked off. Oni – By Japanese mythology, Oni are very synonymous with the Western concept of demons. Ugly, ogre-like creatures of varying descriptions. An Oni’s only purpose is to create chaos, destruction and disaster. Given depictions of Raijin, he looks the part of an Oni very much and when it comes to storms, a more severe storm can be very destructive. With some of the more primal nature spirits and gods, it’s a very thin line for the concepts of good and evil if you’re trying to pin them to those categories. As a weather deity, it goes either way if his rains bring fertility and life or if it’s the destructive force of a hurricane. When Raijin is mentioned, he is frequently paired with Fujin, another Weather God is also a sometimes rival. The two are constantly at it, fighting among themselves over who will rule the skies. The more intense a storm, the more intense their fighting. Temple Guardians – Statues of Raijin and Fujin can be found at the gates to many temples and holy places in Japan where they are seen as protectors and guardians. That sounds like the name of a pokemon. There are a couple, Raichu and Raikou, a legendary pokemon who is based on Raiju and other thunder gods. In Japanese mythology, raiju is the name of Raijin’s animal companion. Raiju is described as a blue and white wolf or a wolf wrapped in lightning. Raijin is also the god or kami of one of the Japanese islands and believed to live up on the mountains. As a storm deity, Raijin is revered as a considerable force of nature. The storms he brings can be destructive in the form of hurricanes and great wind storms when he battles Fujin. Or they can be life giving water and fertility to the land. Kura-Okami – The god of rain and snow, Raijin is sometimes equated as being the same deity. Kura-Okami is active and at his strongest during the winter months from December to February. Thunder isn’t all that bad. A thunderstorm would mean rain. A lot of Japanese farmers would seek to appease Raijin for rain during droughts and not to flood their rice fields. There was a belief that lighting would cause fertility for a rice field. The sound of thunder and lighting, it would mean a bountiful harvest. This seems a tentative way to connect Raijin to agriculture and fertility. I would think having a lightning rod to redirect lighting to the ground would be protection from Raijin. Hiding under a mosquito net is the only protection from Raijin. That isn’t the only way, as the sound of thunder often freaks out many people and is an omen of disaster. After all, who wants a tree crashing in on their house during a thunderstorm or coming out after it’s over to see what swath of destruction has been left behind? Not many. Mosquito nets asides, certain areas in Japan hold to a superstition that ritual needs to be performed during a thunderstorm. This ritual involves striking bamboo to exorcise bad spirits away from rice fields. This was thought to avert any disasters in the fields that would result to any lightning and thunder. As a stated previously, as Raijin is seen as a primal spirit, its better to appease him and get on his good side rather than get him needlessly angry. It’s believed that Raijin is found of eating human navels. It was common practice for Japanese parents to tell their children to hide their belly buttons during a thunderstorm lest Raijin come eat it. If it’s any minor consolation, according to some beliefs, it’s not really Raijin who eats children’s belly buttons, but his animal companion Raiju who actually does. Or if Raiju isn’t eating your navel, he’ll curl up inside to sleep. In Mesopotamian mythology, Kulla is the god of bricks and construction, the divine builder. He was responsible for the restoration of temples as well. The earliest mention of Kulla is from this Sumerian myth in the first dynasty of Isin. 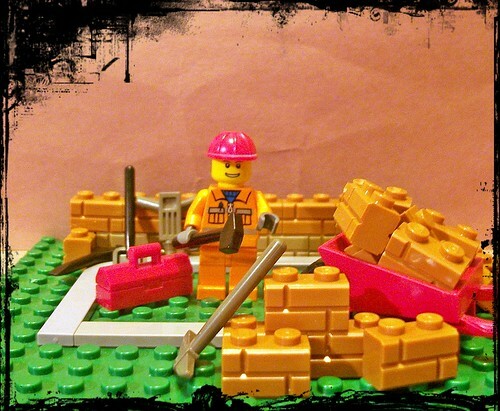 In this story, Enki puts Kulla in charge of the pickaxe and brick-mold. Kulla was created by Ea when he pinched off a piece of clay from the primeval ocean. This part of the story is mentioned in part of the ritual used for restoring a temple, when the god Anu created the heavens. Kulla, along with Mušdam, the divine architect would be invoked at the start of any construction when the foundation of a building was being laid out. The proper time to begin laying down the foundation of a house is at sunrise. At this time, a basin of holy water is set up in which silver, gold, juniper, syrup, ghee and press oil are placed within. A ritual arrangement for the gods Ea, Shamash and Asalluhi is done followed up by a sacrifice. For this, an adagurru-container is set up and then another ritual arrangement for the god is done. A ram is sacrificed over the foundation trench and syrup, beer, wine, oil and oil of the highest quality is poured out in libation over and into the foundations. The first two X’s refers to the name of who is heading the construction and building of the house. The second two X’s refer to the future owner of the house that’s being built. The translation of the cuneiform is also not complete and there’s been good guesses to what is meant and how it should translate. As the incantation is given, the following items will be scattered in the foundation trenches or inbetween gaps of the first layer of bricks before the foundation is laid. These items are: arsuppu-grain, garden-pea, wheat, grain at its highest growth, emmer, seed of all kinds, silver, gold, carnelian, lapis lazuli, juniper, juniper seed, the fragrant plant sumlalu, fragrant balluku-wood, sweet reed, a white cloth, a black cloth, a linen cloth and a red cloth. Once this is done, the invoker then leaves the site. The idea is that the evil or negative energy in having disturbed the ground for building the house is taken removed. At this time, the house will gain a protective deity and a protective genius and that the proprietor or owner of the house will grow old as in have a good, long life. The ritual used for restoring a temple is described as needing a favorable day when the foundation is opened for laying down bricks. Offerings to Kulla were set up using a censor of juniper, the libation of fine beer, scattering pressed-out sesame, cedar resin, cypress oil, honey, milk, wine, an assortment of stone, silver, gold and various aromatics are also given to the River god. A ram was also sacrificed and its blood poured into the foundation. Once the construction of a building was finished, both Kulla and Mušdam would then be banished in a rather elaborate incantation series of rituals. I find it interesting that it is mentioned Kulla is exorcised like some unwanted spirit and that these rituals were part of a curriculum that exorcists learned. It was very important that at the completion of any construction to prevent Kulla’s presence from requiring that any further building be done and needed construction elsewhere was neglected. One version of this exorcism of Kulla has him driven away where he is unceremoniously loaded up onto a boat and banished to the netherworld. Afterwards, the construction crew were forbidden from entering the newly constructed building for a period of three days. The tablets, 14 in total, seven on the right side and seven on the left are thrown into the river. An alternative to this is that Kull and Mušdam would be thanked for their help and asked to depart the completed construction site.